A very good colleague at our club on our N gauge layout has asked me to help him. He is building a new layout for which hes to run an LNER A8. 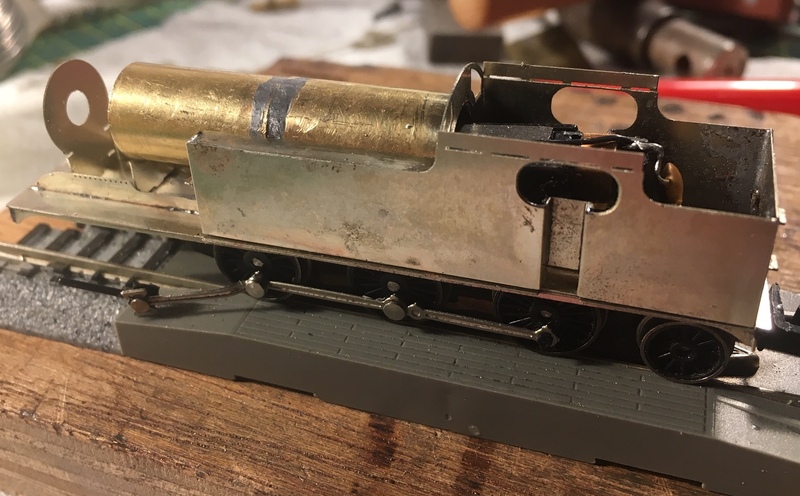 Four years ago he bought the Worsley A8 set of three etches and got frightened off as hes never built etch and never soldered - knowing i'm building white metal (and starting an O gauge Ivatt - but that not a story for here), hes come asking if I can help. He has a running chassis built by BR Lines being a much altered Farish China something bitza. 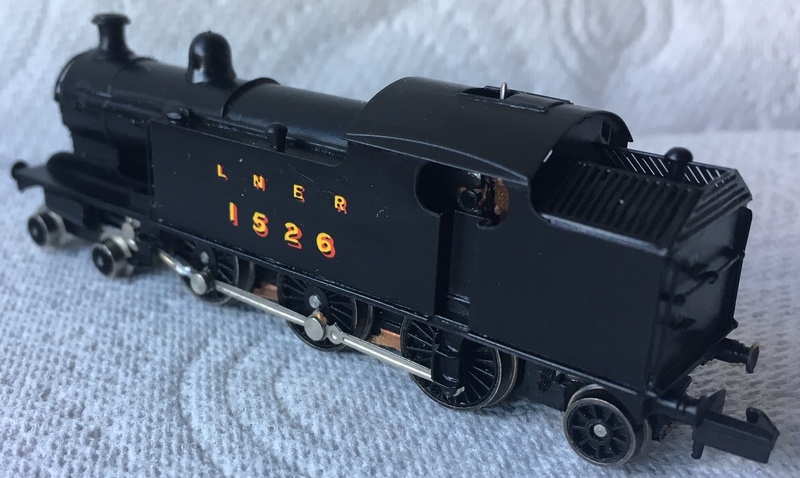 Hes also got a new loco body shell from our Manx builder (sorry at time of writing my memory wont give me the name), the original plan pre Worsley was to use its boiler / smokebox to lengthen it and finish with plasticard. From recent comments from Dr Al i'm gonna guess that this body is mazak and cannot be soldered. I'm well aware that these Worsley 'Kits' are only scratch aids and dont have instructions; Ive been hunting via Google / Youtube to see if I can find anyone with build info or a video to give me a start however Ive drawn a blank, (Ive had emails with Worsley also). 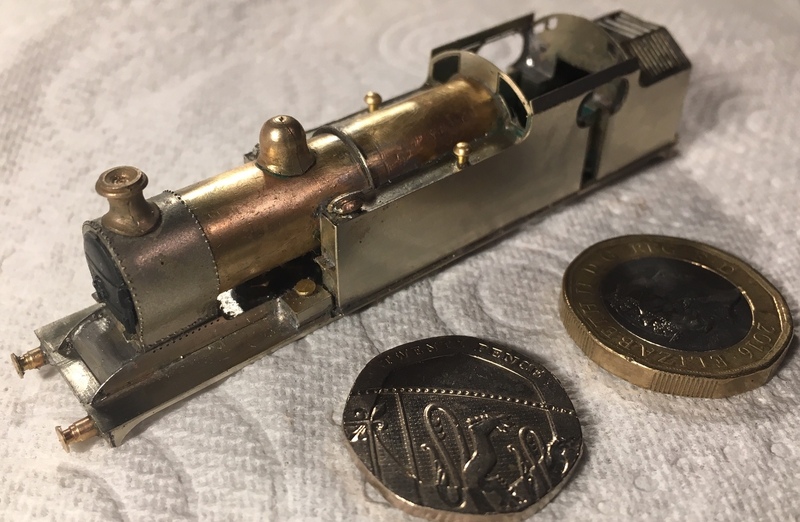 So who on here has built a Worsley loco of any model and is there anything on the web that would help on building techniques? Ive many questions, there is no boiler shell, (maybe tube from Eileens? ), which solder to use? low temp or medium or high? do I series 'tack' solder or seam solder? I've never built a N gauge steam loco but have built many etched kits. For the boiler I would definitely go with a piece of brass tube from somewhere like Eileens as rolling your own from a flat sheet is hard work (though not impossible). As to soldering I use 60/40 188C solder with Carrs Yellow flux for my brass and nickel silver etches. Its best to tack solder the parts together initially to check everything is aligned and then run a full seam along the joint when happy. I generally use a 25W soldering iron with a 2.3mm chisel bit. While covering 4mm scale locomotives, I can't think of a better tutorial on the web about soldering etched and white metal kits than this video. Thanks gentlemen for your replies. In the meantime ive been looking in books and on line at photos and been checking dimensions by scaling off photos as one drawing my friend has was different to the etch in some respects. I actually find the photos and the etch marry up so it would appear to be a slightly wrong drawing. Im still trying to figure the etch components out as to what is folded, and what is what, its so odd there being no instructions or assembly drawings. I had hoped that one of our throng would have built one. The upper works is coming on, ive rolled the boiler from brass 0.3 shim scrap, the join happens to be covered by a cross boiler hoop so you wont see the join. Question - does anybody know the base Farish chassis? it has a rear pocket box that envelopes the metal chassis end holding both the rear coupling and holding the rear axleset. You cannot remove the rear axle without pulling the wheels off! 94xx pannier - the rear axle is not standard though, someone's modified it to add that. Here is a thread started by @AJP to which I added some build information about Worsley 42xx and 72xx builds. The photos might be helpful. Hi, this may be a bit late now, but as regards soldering I usually use up to 3 temperature types, the highest for things that will be subjected to heat again and again like the footplate or boiler, and then progressively lower ones until I get to 70Deg C solder which is good for stuff held on the footplate or steps etc. When cleaning after always in a sink with the plug in, that way small bits that come unsoldered can be retrieved. With 70Deg C solder I find I can actually hold the pieces in place and solder, blu tack is useful, but you have to be quick. Thanks Gents for the links, ive now researched all and realised how much I dont know and have to learn. Its really beneficial doing the homework. I just wish that Worsley Works had some form of instructions / notes as being an outsider theres just so much guesswork to do. Ill add some more photos later. I've hit one problem in that ive borrowed the front bogie of one of my Farish A4's only to find that I cant buy a replacement as BR Lines is out of stock with no idea of re-stocking. The A4 bogie has shorter axle centres and a brass pressure spring on top so is different to black 5 / A3 bogies. Steam engines are not my area of expertise but does N Brass Locomotives have anything suitable? 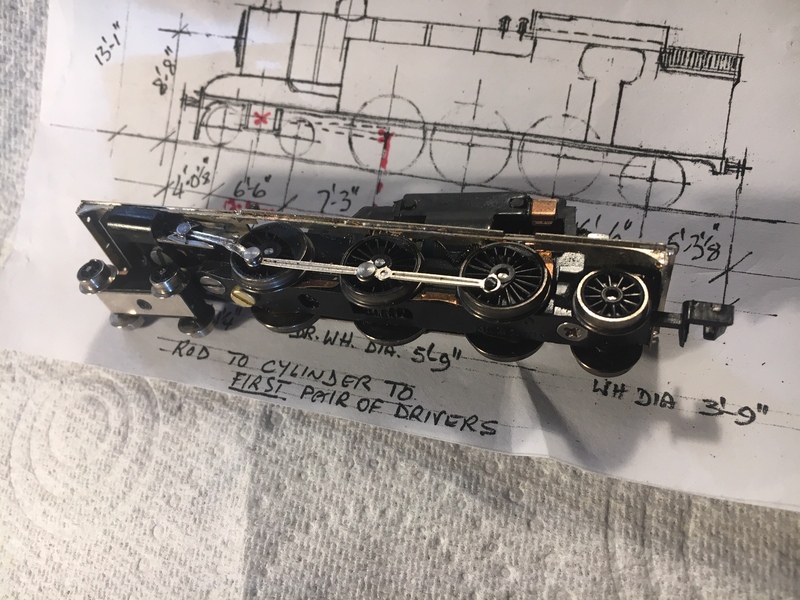 Thanks Paul for the link to N Brass, I have problems in that the Farish Chassis and 4P cylinder block give no clearance for more realistic wheels and as ive already mechanically achieved somthing that works with the A4 bogie , i'm sticking at that, Dr Al has a spare A4 front bogie for me, (Dr Al if you are reading its a yes please). The problem I do have to address is the rear wheelset. tThe chassis builder (whoever he was), has cross drilled the plastic keep plate to take the axle, scuffed off the plastic sides of the keep plate boxing to clear the wheels a little and done a rough job of filing the mazak chassis block; It just doesnt work and on our club layout the rear wheels jacks up the driving wheels on any dip resulting either in a stoppage or derailing. first thought is to properly ease a chassis slot to give vertical free float and test again. 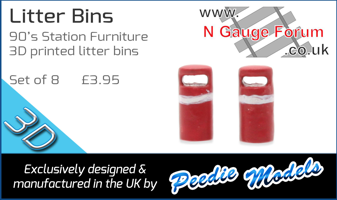 if it works then I have to look at metal axle guides as a small amount of plastic wear will not be acceptable. 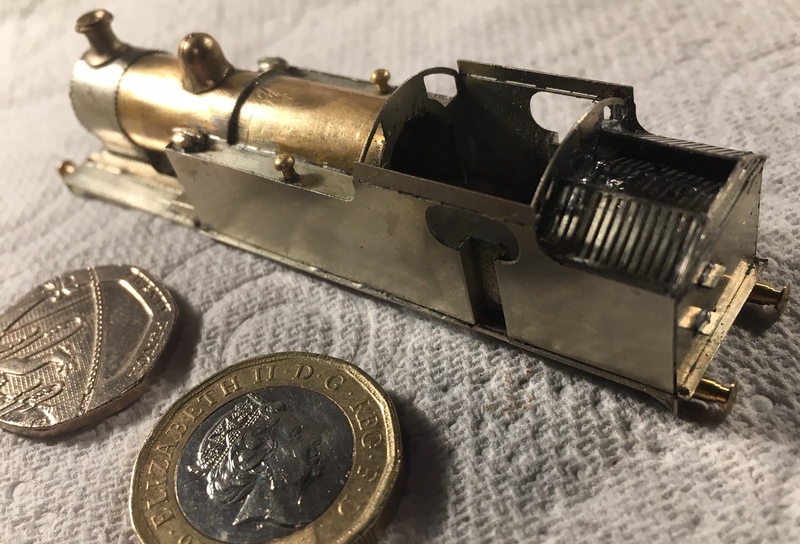 I am well pleased at my first venture in to Etch Brass construction, Iv ehad to invent the tank fillers as N Brass dont do them, yes i know that our river counters will find faults however as an apprentice piece its going to be presentable and work. If any of you can help with ideas on the rear wheelset mounting to what I think is a 94XX chassis please do get in touch. Work is progressing, it runs well on our club track, its in Halfords Satin Black, transfers on for a Scarboro / Whitby location. Ive laid the transfers on with Humbrol decal set and now need to varnish. Ive tried Aerosol satin clear from Railmatch on another first transfer job but found it gloopy. Ive Humbrol tinlets unopened for brushing but wonder about brush marks. Although I have an airbrush I dont yet have a compressor. Please may I ask for recommendations for a varnish make and technique without airbrush and with airbrush? Please can somebody tell me which Humbrol red to use for the Buffer Beams (and are the buffer bodies red or black? If you can get it right now - it seems out of stock virtually everywhere in UK at the moment.